le chaudron de vulcain – February 02 , 2019. EN. Alaska : Dutton , La Réunion : Piton de la Fournaise , Chili : Planchon Peteroa , Indonesia : Merapi . Home / Alaska / February 02 , 2019. EN. Alaska : Dutton , La Réunion : Piton de la Fournaise , Chili : Planchon Peteroa , Indonesia : Merapi . AVO can no longer seismically monitor Mount Dutton volcano due to the lack of a functioning seismic network there. As a result, AVO is unable to (1) assess whether Dutton may be building towards an eruption and (2) quickly confirm or dismiss reports of activity at the volcano. 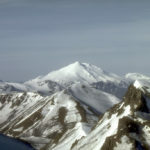 Mount Dutton, a 1,506-m (4,941 ft)-high stratovolcano, lies 14 km (9 mi) north of the community of King Cove on the Alaska Peninsula. 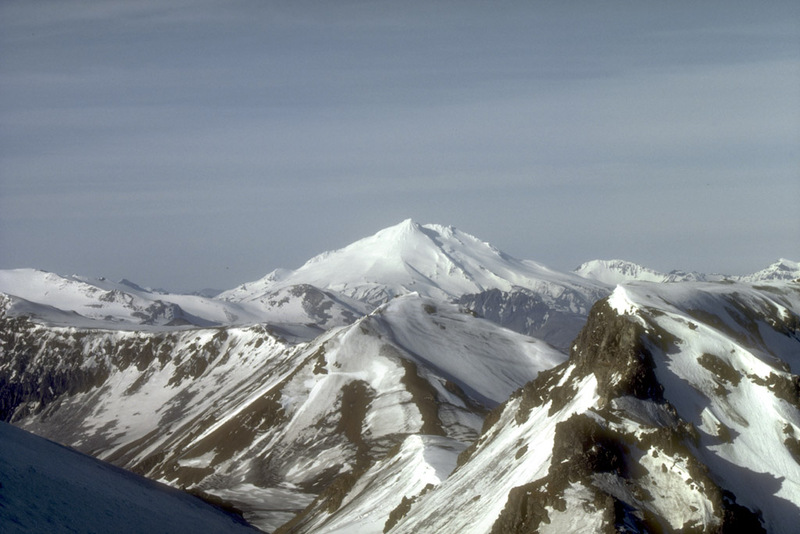 The summit of Mount Dutton is composed of a cluster of lava domes. Mount Dutton has had no historical eruptions. However, seismic swarms beneath the volcano were recorded in 1984 to 1985 and again in 1989. View is to the southwest. Photograph by M.E. Yount, U.S. Geological Survey, July, 1986. Because Dutton is no longer seismically monitored, it will move from volcano alert level Normal and aviation color code Green to « unassigned. 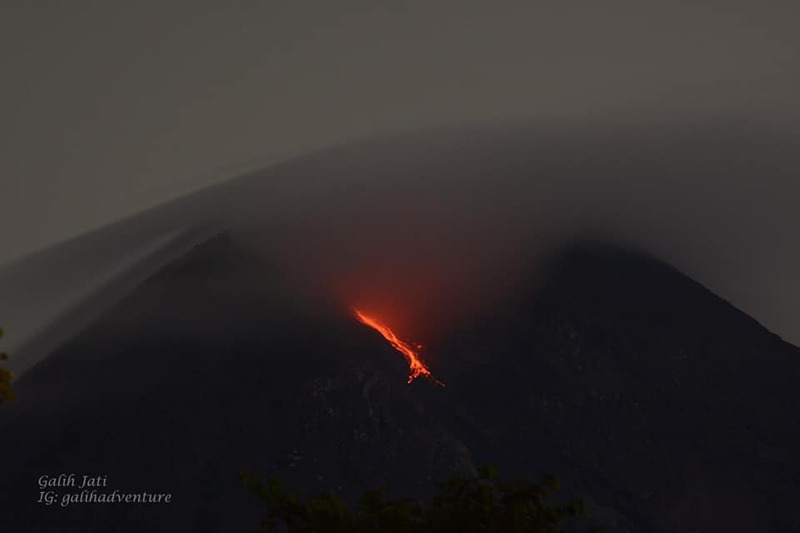 » As at other volcanoes without real-time seismic networks, AVO will continue to use satellite data, regional infrasound, lightning, and reports from pilots and ground observers to detect signs of eruptive activity. 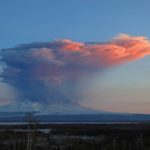 Remarks: Mount Dutton is located near the tip of the Alaska Peninsula and lies jointly within the Izembek Wilderness Area and the Alaska Peninsula Wildlife Refuge. Dutton is a snow- and ice-covered stratovlocano which rises to an elevation of 4833 feet. Although it has no historic eruptive activity, intense earthquake swarms occurred at the volcano in 1984 and 1988. Dutton is located 14 km (9 miles) north of King Cove and 30 km (19 miles) east of Cold Bay. Photo : Yount, M. E.
Volcano-tectonic activity under the Piton de la Fournaise remained relatively low with an average of about 0.4 superficial volcano-tectonic earthquake per day, and only one deep earthquake recorded throughout the month of January 2019. The OVPF strain measurement networks recorded no significant deformation in January 2019, although in the long run a very slight trend towards inflation is noticeable. In January 2019, the OVPF recorded at the level of the Piton de la Fournaise massif in total: 12 superficial volcano-tectonic earthquakes (0 to 2 km deep) under the summit craters; 1 deep earthquake (> 2 km deep); 228 collapses (in the crater Dolomieu and the ramparts of Enclos Fouqué). In the far field (Plaine des Cafres and Plaine des Palmistes sectors): CO2 fluxes remained relatively constant in January 2019 at low values. The MultiGas station is currently down. 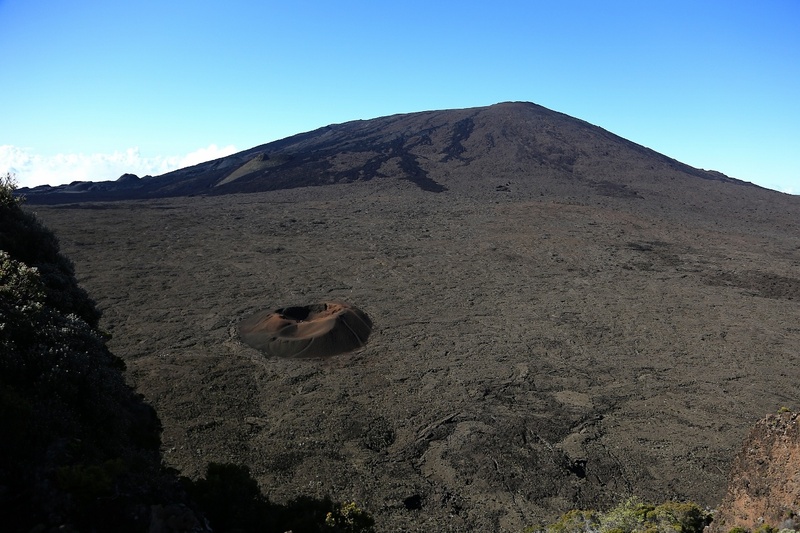 The month of January 2019 will have been marked in the Piton de la Fournaise by a low seismicity under the summit craters, a lack of significant deformation, and CO2 fluxes in the ground in far field relatively constant on low values. This testifies to the absence of magmatic transfers (or at least their slowdown) from the deep zones to the more superficial zones. Special Report on Volcanic Activity (REAV), Maule Region, 01 February 2019, 21:40 local time (mainland Chile). 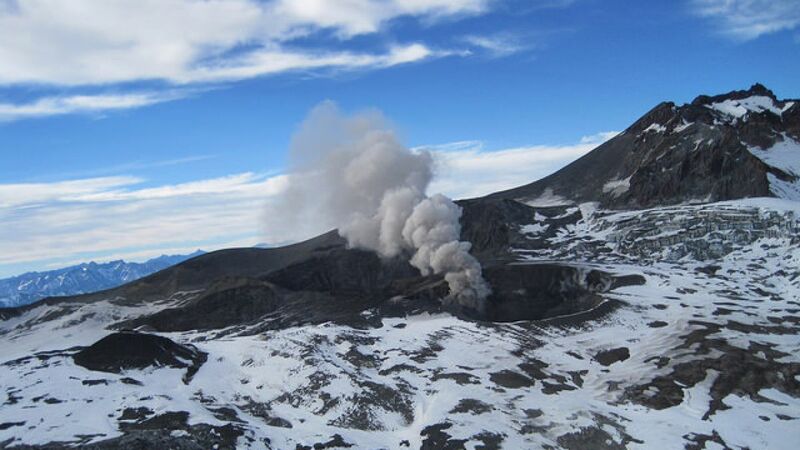 Yesterday, Friday 01 February 2019, starting at 5 pm, the surveillance cameras, installed in the vicinity of the Planchon Peteroa volcanic complex, recorded a steady and continuous increase of its particulate emissions, with a column of emission rising from 2000 m approximately, dispersing towards the East. It should be noted that this episode has been associated with the appearance of discrete events of low frequency types (VLPs), between 17:00 and 19:00 (local time), with reduced displacement values ​​of up to 8.3 cm2 (values considered low). This type of seismicity is considered important and in possible relation with a deep magmatic injection, which could involve a change in the internal dynamics of the volcano. Given the low energy of these events, the tremor signal was not affected and did not undergo significant variations, with a value of reduced displacements not exceeding 2 cm2. 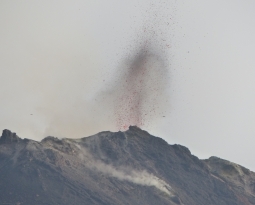 The increase in ash emissions under these seismic conditions suggests an open system in the upper part of the volcano. In this context, it is possible that new events such as the one recorded in the last few hours will occur, and include more energy, as described in some previous activity reports. At the time of issuing this report, the surface activity continues steadily, with a column reaching 1600 m altitude. The VLP activity was not re-recorded outside the period under review. The level of volcanic technical alert remains at the level: Yellow. The weather is sunny in the morning and the afternoon and evening misty. The observed smoke is white, thick, with low gas pressure. The maximum height of 75 m is observed from the observation post of Merapi Ngepos on January 29, 2019. Morphological analysis based on photographs of the southeast sector revealed no morphological changes. Appendix 1.a presents the advanced morphological analysis performed by the Deles camera station. 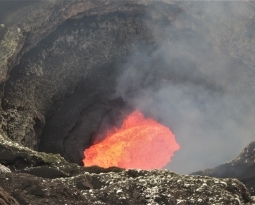 The volume of lava domes this week is about the same as last week, which equals 461,000 m3. Most of the lava extrusion that occurs immediately collapses in the upper part of Kali Gendol. Currently, the lava dome is still stable. Appendix 1.b presents an analysis of the lava domes from the Puncak camera stations. A series of hot avalanches occurred on January 29, 2019 towards Kali Gendol. The first avalanche cloud was observed at 20h17 over a sliding distance of 1400m over a duration of 141 seconds. The second hot avalanche occurred at 20:53, with a range of 1,350 m and a duration of 135 seconds, and the third at 21:41 with a slip distance of ± 1,100 m and a duration of 111 seconds . This week, Mount Merapi seismicity recorded three hot avalanche earthquakes (PFs), 13 emission earthquakes (DGs), a shallow volcanic earthquake (VTB), and five multiple phase earthquakes ( MP), 168 avalanche earthquakes (RF), 7 low frequency earthquakes (LF) and 9 tectonic earthquakes (TT). The seismic intensity this week is higher than the week before. Annex 1.c presents a graph of the seismicity of Mount Merapi. The deformation of G. Merapi that was monitored by EDM and GPS this week did not show any significant change. 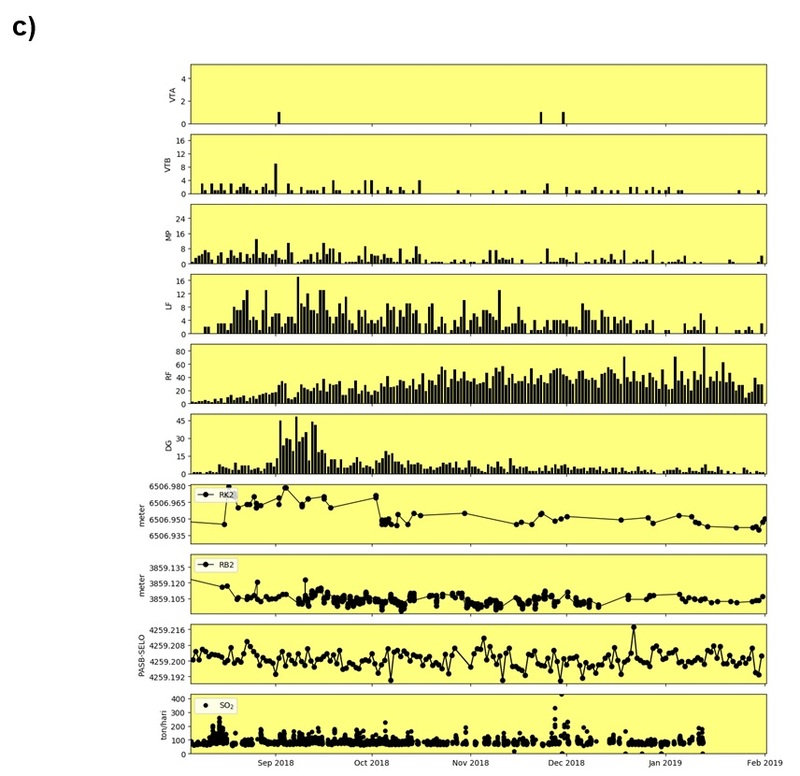 Appendix 1.c shows the deformation graph of Merapi. The DOAS (Differential Optical Absorption Spectroscopy) measurement up to January 12, 2019, gave an average value of maximum SO2 emissions from Mount Merapi at 89.57 tonnes / day, still within normal limits. Annex 1.c presents a graph of the SO2 emission value at Mount Merapi. During this week, it rained on January 30, 2019 at Mount Merapi Observation Station, with a rainfall intensity of 76 mm / hour for 34 minutes at Kaliurang Station. No cases of lahars and flow increase have been reported in the rivers downstream of Mount Merapi. 2. 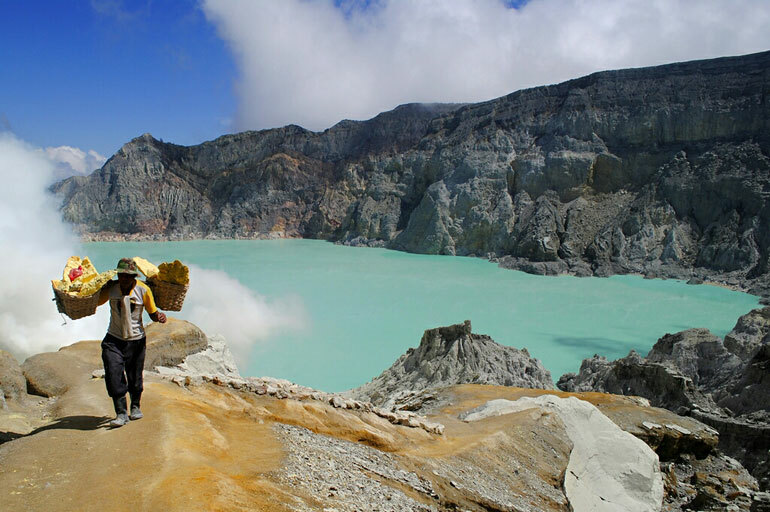 The volcanic activity of Mount Merapi is still quite high and is at the activity level « WASPADA ». • A radius of 3 km around the summit of Mount Merapi should be prohibited to activities of the population and climbing. • When it comes to the rainy season, people who move around the rivers downstream of Mount Merapi are aware of the danger of lahars. • Lava avalanches and hot clouds can cause ash rains. 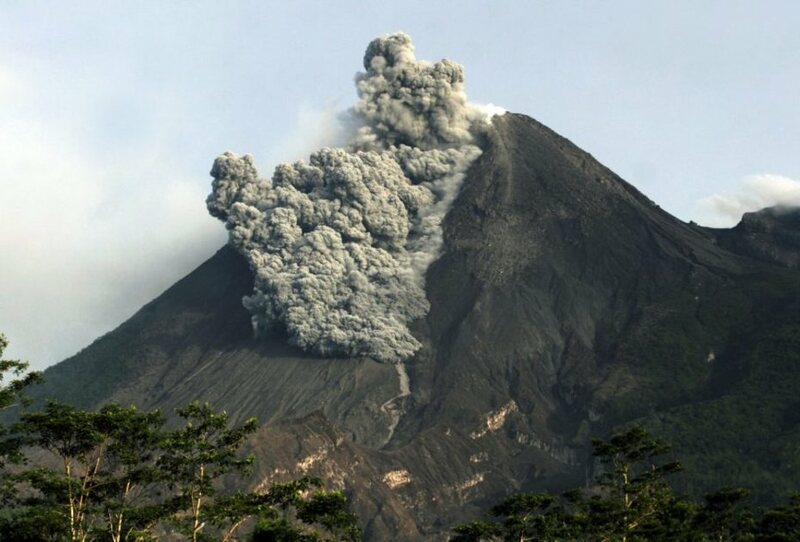 People around are invited to anticipate the disturbances caused by volcanic ash. 03 Fevrier 2019. FR. Kamchatka : Sheveluch , Colombie : Nevado del Ruiz , Philippines : Mayon , Indonésie : Karangetang , Crise sismique à Mayotte .